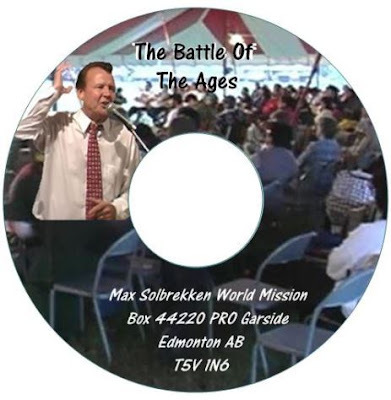 Max Solbrekken World Mission: Hear Dr. Max Solbrekken and Terry Fehr at the Flying Dust Camp Meeting at Meadow Lake, SK on July 21 & 22 and at Christ the Healer Gospel Church 136 Ave F S Saskatoon, SK on Sat 7:00 and Sunday 10:30 & 6:30. Everyone cordially invited! 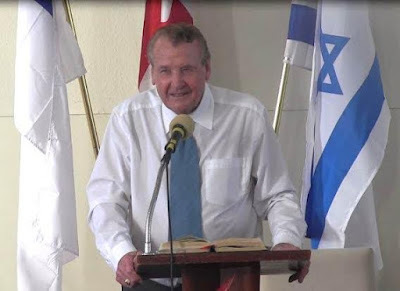 Hear Dr. Max Solbrekken and Terry Fehr at the Flying Dust Camp Meeting at Meadow Lake, SK on July 21 & 22 and at Christ the Healer Gospel Church 136 Ave F S Saskatoon, SK on Sat 7:00 and Sunday 10:30 & 6:30. Everyone cordially invited! Omar interprets Max's Message from English into Spanish. Dr. Max Solbrekken has preached the Gospel of Jesus Christ to the masses of lost, sick, fearful and often tormented pagans across the world for more than 50 years. The Lord has worked with him confirming the Word with signs following! 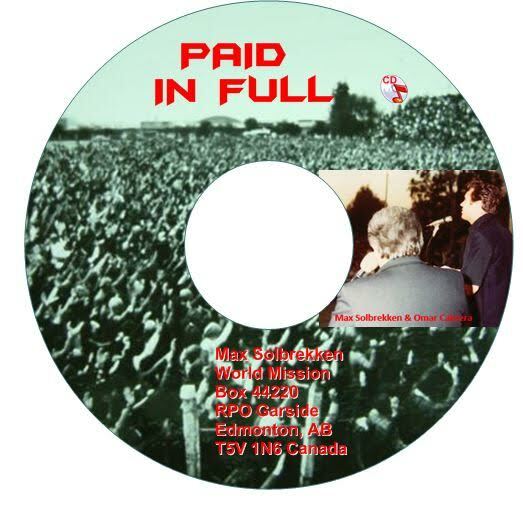 Terry Fehr is a Gospel singer who has served the Lord with his music and singing ability for more than a decade. Terry was adopted from a troubled home to another troubled. He testifies that he became addicted to drugs and sexual perversion. For 8 years he sold drugs and pimped on the streets of Saskatoon, SK under the protection of his brother-in law who was the Boss of the Hell's Angels. His street name was 'Black Jack'. 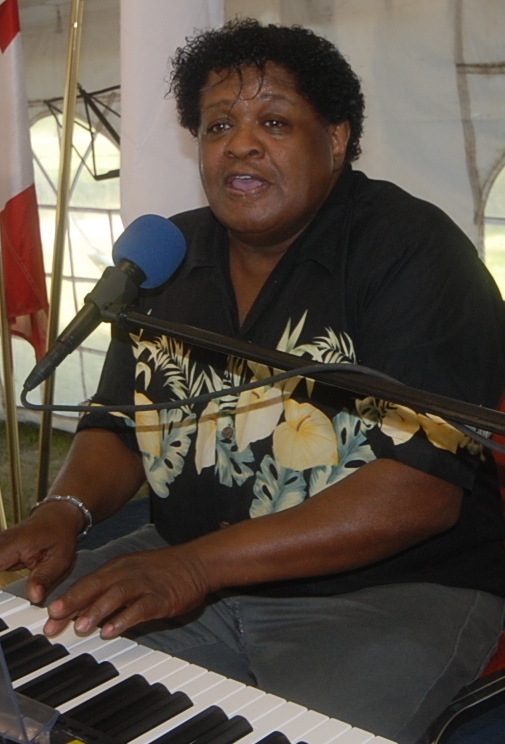 He was rescued by servants of Jesus Christ in Edmonton, AB and leads Praise & Worship in a Full Gospel Church. Dr. Max Solbrekken interviewed Terry recently on T.V. 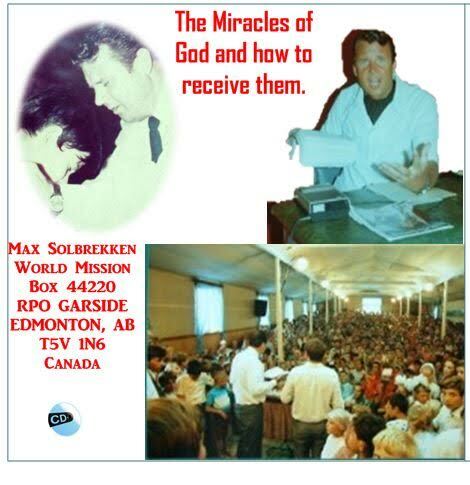 You may obtain a copy of that interview by writing with a gift of any amount to: Max Solbrekken World Mission Box 44220 RPO Garside, Edmonton, AB T5V 1N6. For any of Max Solbrekken's cds or dvds send a love gift of any amount and they will be mailed to you.